Daniel W. Lin, MD, graduated from Vanderbilt University Medical Center in 1994 and is board certified by the American Board of Urology. 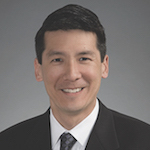 Dr. Lin is the Chief of Urologic Oncology at the University of Washington Department of Urology and a urologist specializing in genitourinary oncologic surgery. Dr. Lin considers educating a patient about his or her options for their cancer and what to expect from cancer treatment, whether that’s about their surgery or after surgery, and their general long-term well-being important parts of their care. His areas of interest include genitourinary oncology, early detection and prevention, and basic research. Daniel W. Lin, MD, reviews novel and emerging biomarkers across the spectrum of prostate cancer. He then explains an emerging model of prostate cancer treatment with genomic markers and DNA sequencing, discussing newly-identified precision targets and their therapeutic decision-making utility. 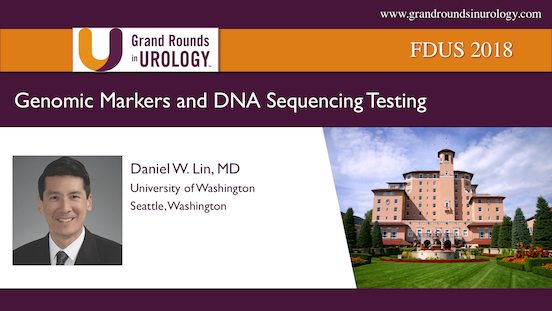 Daniel W. Lin, MD, discusses the future genomic markers and DNA sequencing in prostate cancer management. He explains DNA sequencing can ultimately improve cure rates when applied to advanced prostate cancer patients.